If you have curly, frizzy or dry hair, and have trouble styling them or taking care of them, rebonding may be the answer to all your prayers. 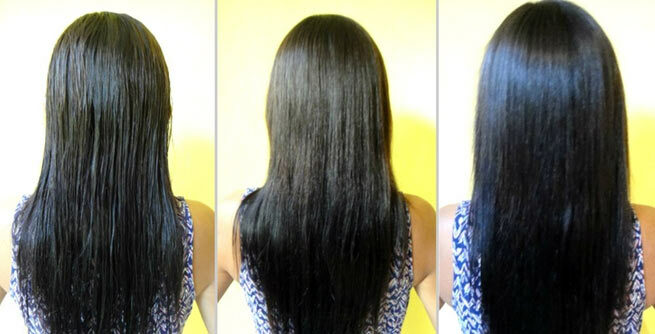 Rebonding is a chemical method of straightening your hair. After a therapist is through with the procedure, your hair remains straight for 6 months to an year, depending on your hair growth. Before you begin considering it as a treatment for you, it is important to know what it really is. Hair rebonding is a chemical treatment and a relative permanent one. It is also quite expensive and the price of the treatment varies according to the thickness of your hair, their length and the salon you want to get it done from. Some people may require continued post treatment care for their hair. The chemical process of rebonding is rather simple. A cream softener is first applied to your wet hair. This softener is intended to break the natural bonds of your hair and reorganize the hair structure to make them straight. However, once the treatment is done, you will have to continue getting it done so that the new growth of your hair is also straight. Otherwise, your hair will be curled or wavy from the roots and straight from the body and at the ends. When you add chemicals to any natural part of your body, it will have some repercussions. Chemical processes, even the hair softeners used in rebonding, can affect the texture and quality of your hair. A few inches of the ends of the hair may have to be cut because they get damaged. Some people may also experience hair fall due to the chemical procedure. What effects the procedure has on your hair, also depends a lot on the kind of treatment you have taken and how the treatment is given to you. If you have excessive hair fall, you should avoid rebonding altogether. Make sure you are being treated with high quality chemicals and the therapist performing the procedure is adequately trained. Since the bonds of your hair are permanently rearranged, it is important to take precautions after the procedure. To maintain your hair, and to avoid botching up your expensive new hair treatment, make sure you follow the following tips. Wash your hair with cool water: Once your hair is rebonded, never wash them with warm or hot water. Also, use a shampoo recommended by your therapist. In case they have not recommended one, use a very mild shampoo. Use a conditioner: Use a conditioner regularly, once your hair has been rebonded. If you do not have time, use a leave in conditioner. Hair masques are also effective. So use them if you have the time. Use a wide toothed comb: Always comb your hair with a wide tooth comb. Do not brush your hair and avoid jerking movements to comb them, especially when they are wet as this could damage your hair. Do not use irons and hair dryers: If you want to touch up your rebonded hair, visit your therapist for maintenance. Avoid using a hot iron on them. Also avoid blow drying your hair. Let them sundry naturally. Eat well: For anyone who wants to take care of their hair and skin, eating a healthy, balanced diet, is a must. Ensure that you have all the important nutrients in your diet. Increasing the daily intake of proteins is beneficial for the hair and the skin. Do not tie your hair: Now that you have gorgeous, straightened hair, you do not need to tie them up. You should not tie them as a matter of maintenance too. Also avoid styling your hair too much and do not use a lot of styling products too. Get rid of hair serums, styling gels or any other similar chemicals for your hair and scalp. Only use a very mild shampoo twice a week for washing your hair.